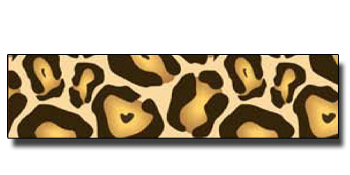 Take a walk on the 'wild' side with this traditional leopard print. Go ahead, stick it anywhere and roar a little. This is my favorite print of all. I use it to decorate my baskets, greeting cards and even looks good on wood furniture. You can make things look a little wild - until you decide to "redecorate" with a new print.